Are you a medical professional? Well, we have good news. Lenders favour you, because data shows people in the medical field are low risk borrowers, and have the lowest default rates. 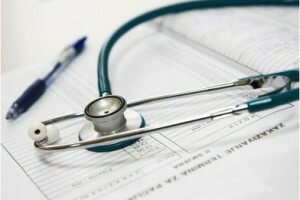 This means home loans for medical professionals are sometimes offered with a Lenders Mortgage Insurance (LMI) waiver. Lenders Mortgage Insurance is a one-off fee that protects lenders in the event you fail to make mortgage repayments. If you have less than a 20% deposit, almost all lenders will require you to purchase LMI… unless you are a medical professional. Many lenders will waiver the LMI for medical professionals, because they are high-income earners, and are at a low risk of defaulting on their repayments. In fact, many Australian banks have special medico loan packages or policies that will allow the borrower to borrow up to 90% of the property value without the need for LMI. So what does this mean? If you’re looking to purchase a property for $1,000,000, and you need to borrow $900,000, LMI would normally cost around $25,000. Now that’s a serious saving. Psychologists, naturopaths, and medical researchers are usually not considered for the medico policy, as banks have identified these as being higher risk borrowers than other medical professionals. If you’re a medical professional looking for a home loan, and you’d like to learn more about your options, give us a call on 1300 700 496 or send us a quick email. We’ll help find the perfect loan for your unique circumstances – for free! © 2018 www.ourmortgageoptions.com.au. All rights reserved.